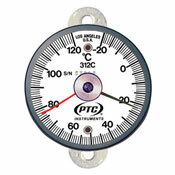 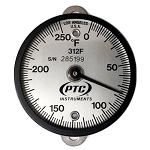 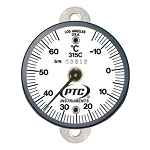 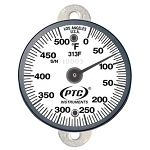 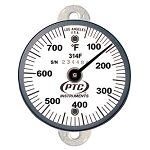 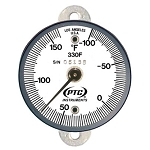 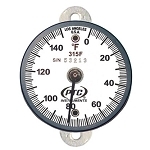 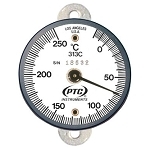 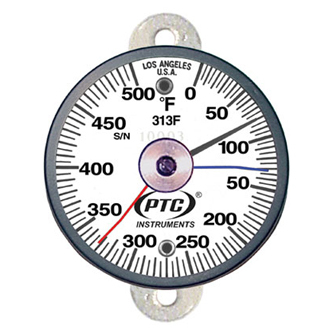 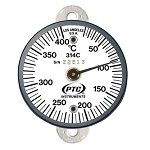 PTC® Instruments Tab Mount Surface thermometers are made of quality materials in our Los Angeles factory and used worldwide. 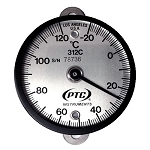 Every thermometer we make is calibrated by qualified technicians. 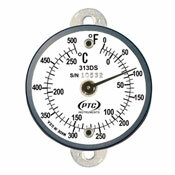 The Tab Mount Thermometers have no magnets and are available in Fahrenheit, Celsius or Dual Scale.